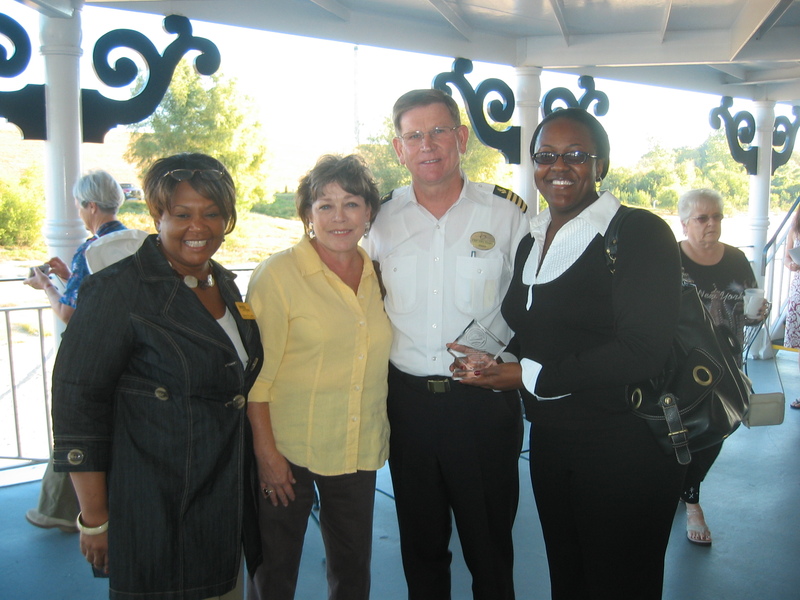 Greenville VIPs with Captain John Dugger. Greenville on a Sunday is quieter than a feather falling on pile of cotton balls. Our morning stroll reveals that the downtown road are under construction for miles and you can count the remaining downtown shops on one hand. Much like Helena yesterday, the shore tour is the only attraction to today’s stop. But we did have an opportunity to visit with Mayor Heather Hudson and several visitors from the city. They enjoyed their tour of the Delta Queen and we had a nice ceremony for the dozens gathered along the waterfront.